Do the Seasons Matter in Florida? The Seasonal Population – if your house is located in a snowbird region, or a vacation destination, the population of your area will ebb and flow according to the seasons. 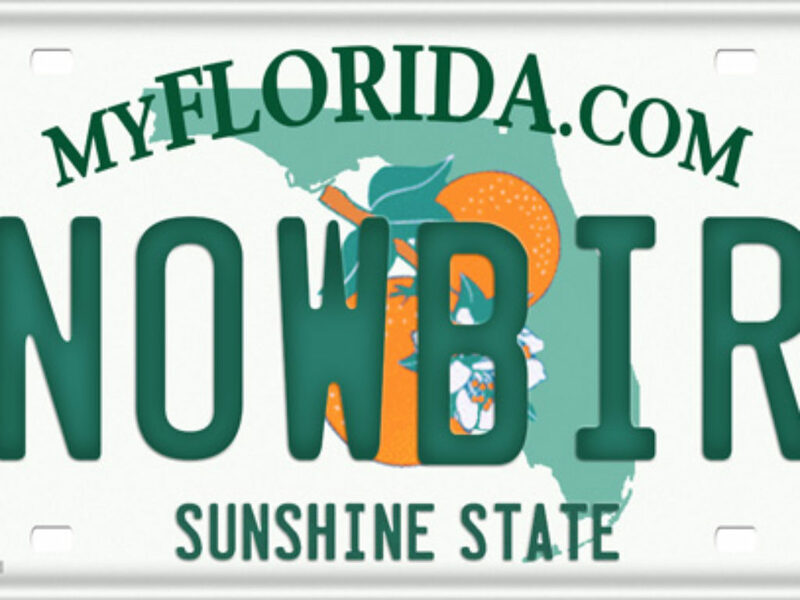 As we have mentioned already, the winter in Florida is a popular time for snowbirds and vacationers who may be looking for a retirement or vacation home. While there may be fewer buyers in the summer months, it will also depend on circumstances. For example, if you are a family wanting to move before the school season starts, then you’re not going to give up your search through the summer if you haven’t bought already. Equally, Florida is popular with European vacationers in the summer months, and for those that are wanting a second home, this is the time they will be looking. Understanding who the likely buyer of your house is going to be will help you and your Property Matters Realtor to plan your marketing campaign. The School Year – for families the school year is a significant factor. Many buyers will want their children and family settled in their house before the new school year starts in the Fall. If you are in a good school area, then you could experience a flurry of activity as desperate parents try to secure a home. Buyer Desire – at Property Matters we call ‘buyer desire’ the propensity of the potential buyer to really want to buy rather than browsing to ascertain what is available on the market. For example, out-of-season viewers may be more serious about buying because they need to buy a home, vs the browser who could be measuring up your house against others in the neighborhood. Economic issues – this is difficult to predict at any time of the year and an interest rate rise could influence the ability to get a mortgage for some buyers. Keep an eye on the Fed and any potential rate rises that might have a trickle-down effect. For sellers, your buyer might have received a tax refund by the summer which could positively affect their ability to buy. They might also want to move in before the year end for tax advantages, so also consider this in your timings. The Weather: The weather in Florida is generally very dependable throughout the year. Statistically we might have more rain in summer months, but it delivers short heavy afternoon bursts that are soon gone with no extended days of wet. This predictability makes marketing houses an all-year-round affair unlike many US states where poor weather can severely limit open houses and viewings. Viewings – for a seller, the Open House is a key opportunity for buyers to view your property. Talk to your Property Matters Realtor about arranging an Open House and the best time to do this. For buyers; if you are viewing the house during a brief but heavy spell of rain, go back again when the sun is shining to get the full impact of the property. Temperature – a very hot or very cold house during a viewing can put off potential buyers. Ensure that whenever the house is being viewed, the temperature is pleasantly ambient. Cleanliness – at whatever time, it is important to ensure your house is presented well. Instigate a thorough ‘Spring clean’ at whatever time of the year. This should include carpets, windows and drapes. Staging – stage your house and use seasonal items where possible e.g. Spring flowers throughout the house in the Spring or Fall-inspired Halloween items to make the house appear welcoming and friendly. Talk to your Property Matters Realtor about how to de-clutter your house to make it appear more roomy and inviting. Decoration – Your Property Matters Realtor will identify for you where you need to paint or make repairs or changes to your house. This is relevant throughout the year, however, the seasons will affect what will make the house more attractive. For example, bringing a fireplace back into commission in the Winter will appeal to buyers. While it might not get much use in Florida, it will still be a bonus for any buyer! The Yard – make sure that your yard is well-kept with blooming flowers in Spring and Summer. In the Fall, pay attention to keeping the yard and driveways clear and clean – especially removing an chances of slips or trips. This could put off a buyer from the first minute. Remember the pool; keep it clean and free of leaves. The pool is often the key clincher of any purchase/sale. Sheds & buildings – make sure that they are in good condition either by giving them a lick of paint or repair any issues such as missing nails or panels. Talk to your Property Matters Realtor about the best time to sell or buy a house. While Florida is fairly well cushioned against the effects of the seasons, there are hints and tips that our team can share with you to maximise your chances of a successful transaction. Call Ted Brown +1 561-508-9000 or email to tedbrown@propertymatters.net to arrange a time to meet and discuss your buying and selling objectives, and how the Property Matters team can help you. [iii] Aol.com Laura Agadoni is a landlord, journalist, and author of New Home Journal: Record All the Repairs, Upgrades and Home Improvements During Your Years at …. Her articles appear in various publications and websites such as The Houston Chronicle, The Motley Fool, SFGate, Zacks, The Huffington Post, The Penny Hoarder, and AZCentral. Visit her website at www.lauraagadoni.com.